A tenant background check is one of the most important tasks for any landlord. It gives an idea how reliable your future tenant to avoid any surprises in the future. No one wants to rent an apartment or house to a person who can’t pay the rent, that’s why it is necessary to have the tenant verification process. Once tenant agreement signed, it is not that easy to let your tenant leave your rental property due to inability to pay the rent or trying to find suddenly disappeared one. Time is landlords’ money and value, and if tenant cannot pay for the rent it is similar to losing a job or an important source of income. Landlord has a bunch of expenses to take care every month from insurance and facility expenses to property taxes and mortgage payments. I was in both situations as a tenant and a landlord. I totally agree that it is a good practice to have your tenant checked, better for both sides especially when it becomes much easier, thanks to services like Tenantify. The idea to start the tenant screening process came to the co-founder Tenantify, who realized that the process stayed behind with the 20th century. For example, the most common practice in tenant screening is credit report. However, landlords often do not realize that a typical credit report from three major credit bureaus (TransUnion, Experian and Equifax) only indicates a tenant's long-term creditworthiness in the past 7 years. It says little about tenant's current employment status or his/her ability to pay rent. Some alert landlords request paper bank statements and pay slips to verify income, only to find that they need to watch out for fraudulent statements. Do they know that many websites offer bank statement templates for free? How Tenantify Verify Income? They need to deliver an authenticated bank statement from tenant to landlord conveniently, securely and without fraud risk and touching anyone's sensitive personal information. The partnership with DecisionLogic brings all the convenience and security. The service gives instant and only required information without saving any bank credentials. How Tenantify Verify Employment? 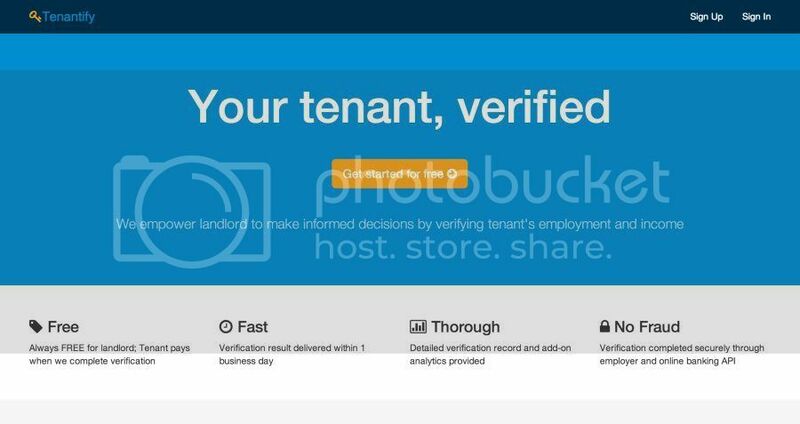 With tenant employment information (title, employer name, address, phone number) Tenantify verifies the info with trusted third-party sources (Yellow Page, Yelp, BBB, etc) and then directly talk to employer via a verified phone number to get positive or negative confirmation. Tenantify services are free for landlord and becoming very popular in US. Tenant pays when detailed verification completes. 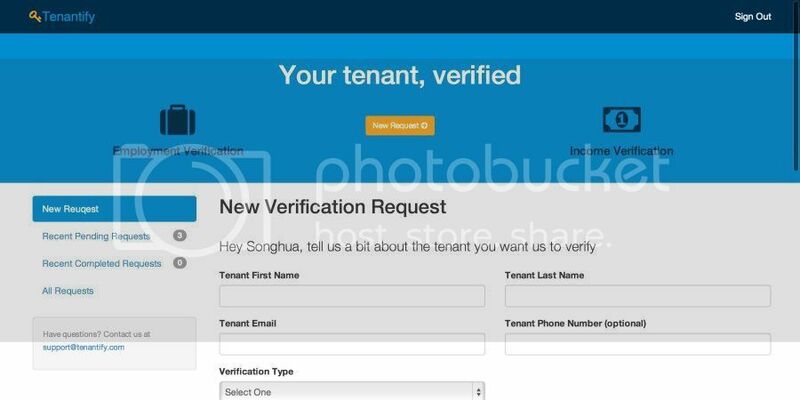 While using tenant verification services depends on landlord preferences, it is great to take a look what Tenantify offers. They are here to empower every landlord, prevent froud and save time for both landlord and tenant. For more information please check Tenantify services on-line, you can also contact them support@tenantify.com with any questions.